Tell! which was co-founded by five (5) students of University of Ibadan has launched an editing platform for students. This, according to them was an attempt to help students secure internship opportunities during this strike period. 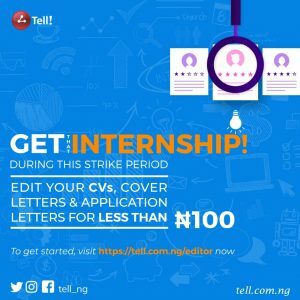 According to Toheeb Ojuolape, one of the founders and the Chief Technology Officer, “I was getting alot of request from friends and colleagues who wanted me to help them edit their CVs, application letters and cover letters because they wanted to apply for internship opportunities. It got to a point where I got too overwhelmed with the requests. So I told my Cofounders that we should launch a product that solves this problem”. The editing platform called EditNow! is now one of the services available on Tell! 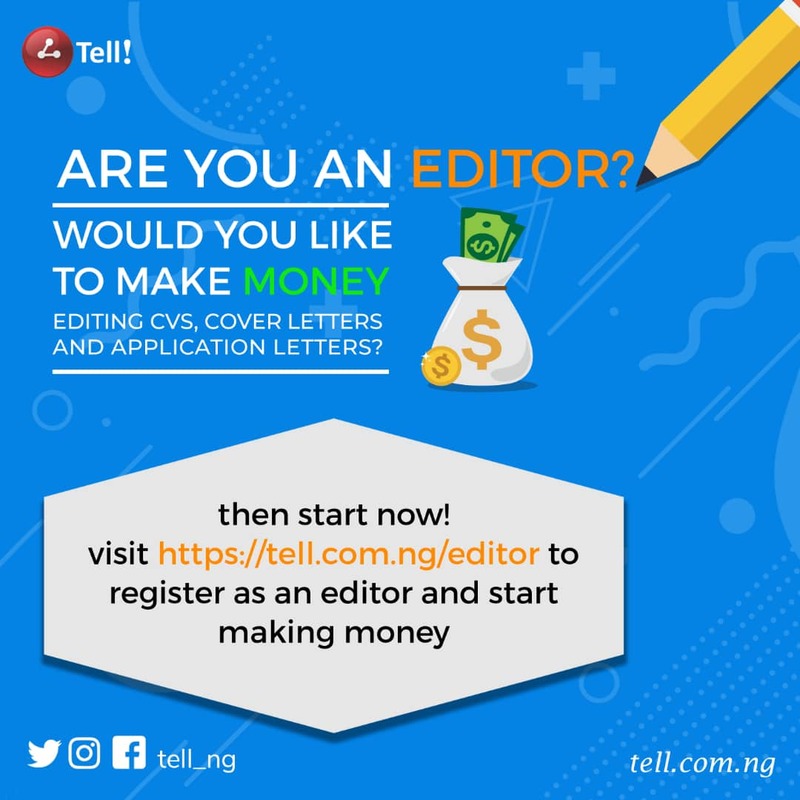 https://tell.com.ng/editnow, which makes it possible for students to upload their CVs, Application letters, Cover letters, Research papers, Project works and even books for editing by professional editors and proofreaders. The platform also let’s people register as editors after which they undergo screening to validate their Editorial prowess. “Our vision is simply to create opportunities. It is possible for anyone with good and perfect editing skills to edit for others and make money while doing so. By helping students edit their Curriculum Vitae and Application letters, they stand a higher chance of getting accepted for Internship opportunities. We want to focus on CVs and Application letters in our initial phase. We hope to scale up the product and focus on Research papers and project works subsequently”, Adedokun Seyi, one of the co-founders and COO of the platform said.